We are pleased to announce another update of the Nimbus Note web client. Come visit and explore the new design, new workspace feature, color labels, reminders, and more. Our new web design takes into account all of the latest feedback from our users. 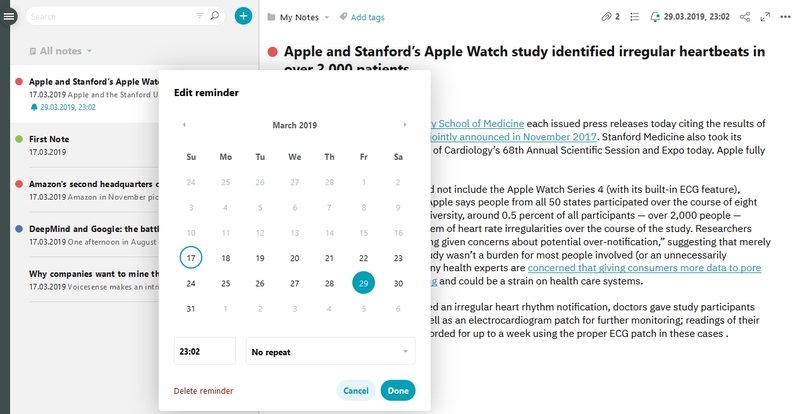 We’re confident that you’ll agree that the update makes Nimbus Note even more useful and convenient. One notable improvement is the drastic change to the Note List. Now, you can now decide which notes appear in this list. To simplify the list view, choose the Compact view. To view details, you’ll want to choose Detailed the option. As for the way an active note is displayed on the list itself, we decided to experiment just a little there. Hopefully our users will appreciate the results of that experiment. In the editor, we did out best to clean up the space to the maximum so that nothing would interfere with what matters the most – reading and editing notes. As for the button that creates a new note, we moved it the note list – it seemed like the perfect place for it. It’s now much easier to categorize and organize your notes. 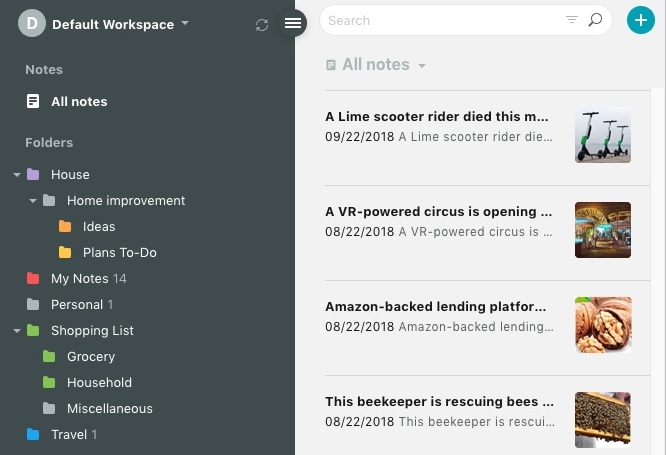 Create a workspace to group your notes into categories such as work, personal, study, and other categories. 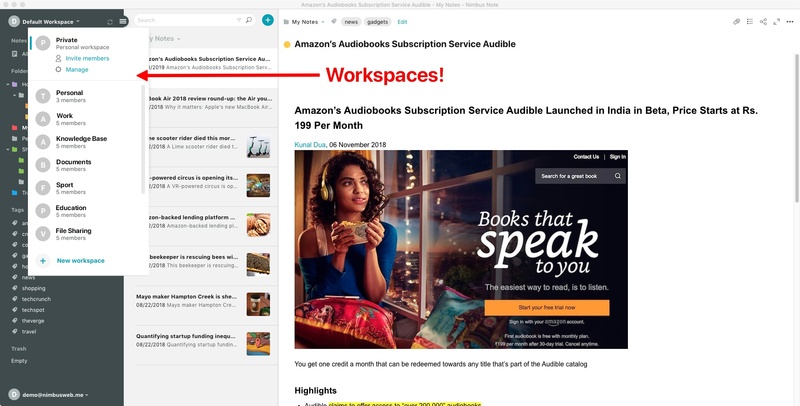 Invite friends and colleagues to a workspace for better collaboration on team notes. The workspace owner can assign specific privileges to each member. These privileges includes creation/deletion, read-only, editing, and others. Another way to categorize your notes is to assign a color label to any note. Any note with a color label will appear clearly in the Note List. It’s easy. Simply click on the circle next to the note title and choose a color. You can also add a colored tag to a folder – just select Set color from the folder context menu. 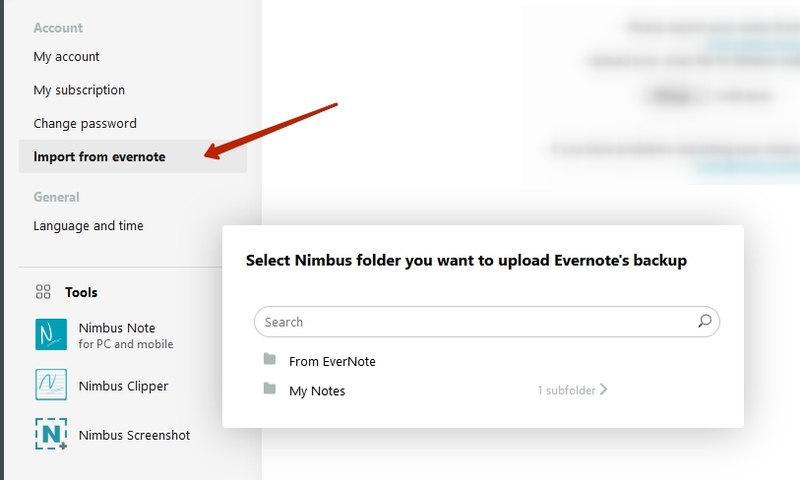 The new Nimbus Note web client now gives you the ability to set and edit reminders. Click the small bell icon to display a popup window, from which you can choose the date for the reminder. This is a long-awaited feature, and we’re happy to make it available in this update. This import will intake all text, pictures, and even tags for your EverNote notes. For now, it’s only possible to import the contents of an Enex file into Nimbus Note. Even if you have a collection of thousands of notes, some are more important that others. 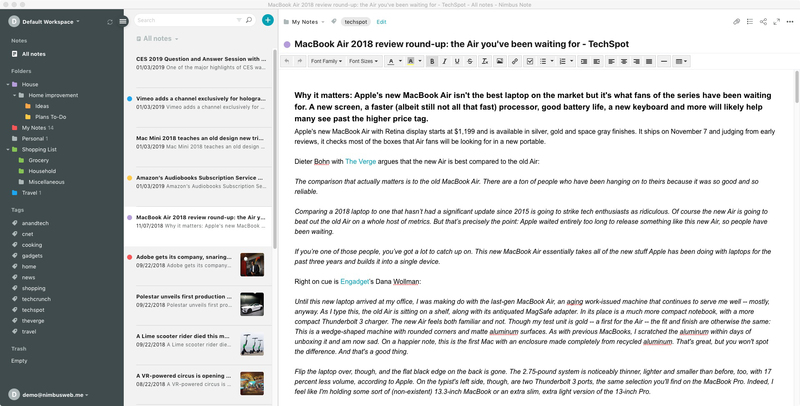 You’ll want to view and edit some notes more frequently than the others. Simply add these notes to your Favorites so that you can quickly access them at any time.